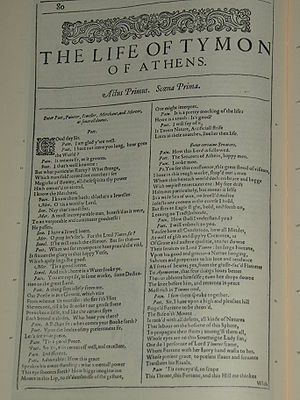 Timon of Athens initially appeared in the First Folio of Shakespeare plays in 1623, under the title The Life of Tymon of Athens. There is no agreement about when it was written; some scholars studying the mood and style suggest 1605-1609, while others push the date back to 1601-1602. In the view of those who think Edward de Vere was the author, both time frames are about a quarter-century too late. Oxford was twenty-six in the spring of 1576 when he returned to England after fifteen months on the Continent, having traveled all through Italy with Venice as home base. It may well be that a now lost play, The Historie of the Solitarie Knight, performed on 17 February 1577 for Elizabeth and her court, was an early version of Timon of Athens. Timon is a young nobleman so renowned for his liberality and good nature that poets, painters and tradesmen flock to his home seeking his patronage. He is generous and trusting. He joyously entertains his guests, lavishing them with rich gifts and handing out cash even to the servants. His seemingly inexhaustible wealth means little or nothing to him: “I gave it freely ever, and there’s none can truly say he gives if he receives … Pray sit, more welcome are ye to my fortune than my fortunes to me!” (1.2). 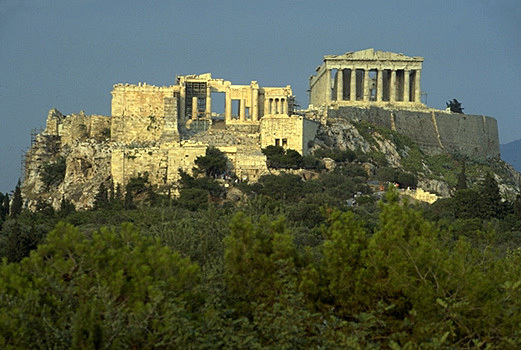 The western approach to the Acropolis, showing the Propylaia, Temple of Athena Nike, and the Parthenon. As Timon puts it, “How goes the world, that I am thus encountered with clamorous demands of debt, broken bonds and the detention of long such due debts against my honor?” (2.2). 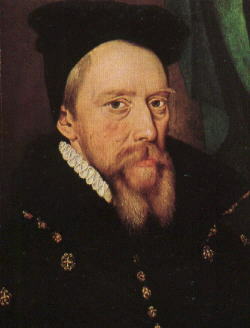 He questions Flavius, his steward, just as Oxford must have demanded of Burghley to explain how this “dishonorable” situation could have happened without warning: “You make me marvel wherefore ere this time had you not fully laid my state before me, that I might so have rated my expense as I had leave of means…” (2.2). Flavius: “‘Tis all engaged, some forfeit and gone, and what remains will hardly stop the mouth of present dues” (2.2). 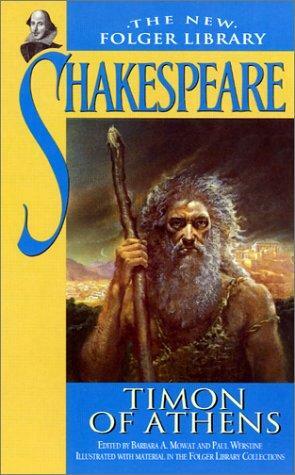 After all his former friends refuse to loan him any money, Timon leaves Athens for the depths of the woods, finds a cave and begins to live as a solitary hermit – perhaps why the play performed in 1577 was called The Solitary Knight. Aside from being fluent in both Latin and French, Oxford had been raised from about age four in the household of Thomas Smith, a Greek scholar, who had tutored him. Both Smith and Burghley had copies of Lucian, and Burghley’s wife was also a Greek expert, so it’s a given that the very young de Vere had personal access to all the Shakespearean sources. 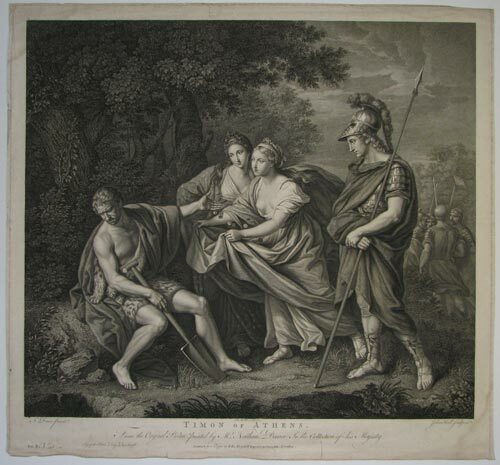 “The play depicts Timon as being just as solitary in the midst of his grandeur as he later became in his cave in the woods … Not even Timon could have lived a life of greater luxury and grandeur than the young Earl of Oxford throughout his youth. Is it to be wondered at that Edward de Vere, seventeenth Earl of Oxford, grew up without the slightest idea of the value of money? Hank, you know what I claim: great part of The Tempest is revenge on Robert Cecil. He was the Muse of the Sonnets, in this sense the Sonnets are in great part revenge on Robert Cecil, as well.